Albion were eventually grateful for a point at the Bet 365 Stadium. Jose Izquierdo put the Seagulls in front on 32 minutes. It was a superb team goal, with Solly March and Dale Stephens involved. Badou Ndiaye almost replied for Stoke before half time. Xherdan Shaqiri pilled Stoke level with a deflected shot with 25 minutes left, just after Davy Propper had a chance to head Albion into a two-goal lead. Then came the most controversial moment of the match as a fairly weak challenge from Stephens on Jesé Rodriguez Ruiz was deemed a penalty by referee Bobby Madley. 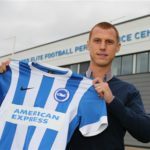 Veteran Charlie Adam stepped up and saw his spot kicked brilliantly saved by Albion keeper Maty Ryan. Lewis Dunk then made a lunging challenge to prevent Adam from converting the rebound. Dunk’s tackle looked far more like a penalty than Stephens’s. The drama didn’t end there as Adam’s resulting corner appeared to hit Ryan’s far post. Anthony Knockaert cleared the late effort off the line. 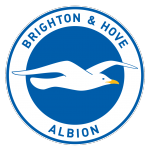 Next up for Albion, Coventry City in the FA Cup 5th round at the Amex next Saturday (17 February).